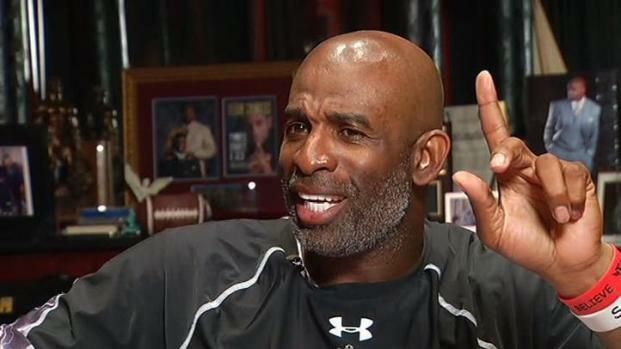 A judge ruled Monday in favor of Deion Sanders in a protective order hearing. Sanders' estranged wife, Pilar, must stay 500 yards away from the couple's Prosper home. Both were also cleared of family violence charges. "I believe what happened in court is going to resolve the criminal cases -- which is my main concern with Mrs. Sanders being charged with assault -- and I believe those charges will go away pretty shortly," said her attorney, Pete Schulte. The judge did not rule on custody of their children. The 10- and 12-year-old boys are going to temporarily live with Deion. The couple's 8-year-old daughter will temporarily live with Pilar. 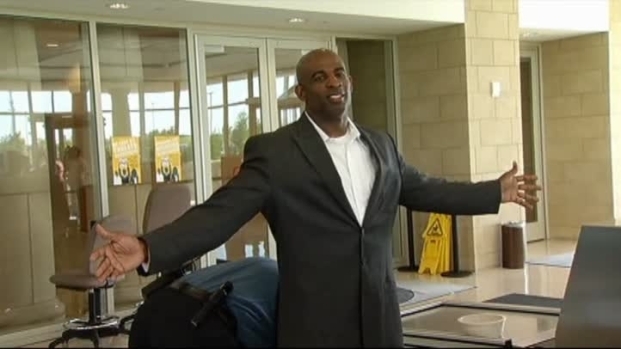 Former Dallas Cowboy Deion Sanders talks exclusively with NBC 5's Randy McIlwain about his public divorce, the protective order hearing, the altercation with his estranged wife last month, the media coverage of his divorce and more. Both Pilar and Deion took the stand Monday in day three of the hearing, asking the court to keep the other away from the Prosper mansion and their children. On the stand, the former NFL star recalled at least seven acts of verbal and physical fights between himself and his wife and his wife and their children. Deion said the couple hasn't slept in the same room since February 2011, and that he recently visited his son's school and told administrators that he didn't want his wife picking up their son because the child was "scared to death of her and doesn't want to be alone with her." Attorneys for Pilar Sanders say that while their client didn't get the protective order she wanted, the judge dismissed claims of family violence against her. 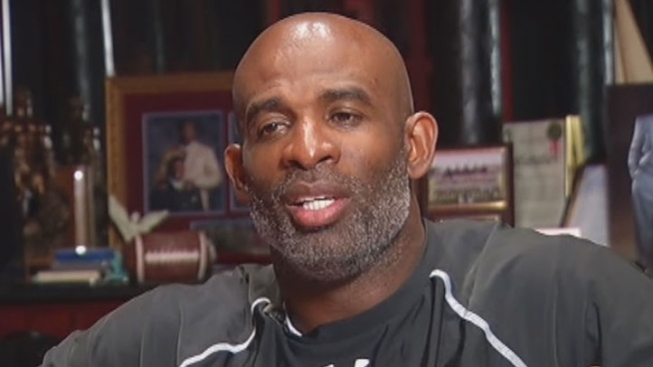 Regarding the alleged fight on April 23, Deion testified he was in the room with his son when Pilar Sanders kicked the door trying to get their youngest son to come out. In an audio recording of the fight, Pilar can be heard telling her eldest son to go into Deion's room and get the other child to come out and see her. Pilar can also be heard accusing Deion of kidnapping and adultery while calling him names and cursing. At least one child can be heard begging his mother to stop and to leave the room. The audio recording was played in court Monday morning but has not been released to the public. 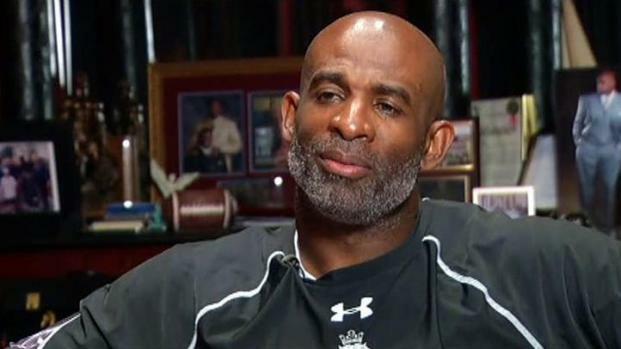 Deion Sanders: "I Don't Have TMZ on Speed Dial"
Former Dallas Cowboy Deion Sanders talks about his high-profile divorce and says he doesn't seek publicity about his private life. Deion further admitted to crushing a mobile phone belonging to Pilar's friend, Deanna Boswell, and to pinning his estranged wife's arms as she tried to kick, scratch and bite him. Boswell took the stand Monday afternoon and said she entered the room while recording video on her mobile phone and saw Deion strike Pilar with a nearly 6-foot-tall statue by grabbing it by the elbow and shoving it into her. Deion brought the statue to court Monday as evidence. Deion Sanders and his estranged wife Pilar arrive at the Collin County courthouse Monday morning for Day 3 of their hearing. Pilar, who so far has respected a gag order on the case and has had no comment, took the stand at about 2:30 p.m.
She showed pictures of bruises and a bloody thumb that were sustained during the altercation on April 23. She said her estranged husband slammed the statue on her hands, which were covering her head. She said the statue never hit her head. She said other bruises were sustained when she was thrown into a wall and picked up by her neck. Pilar said her husband's attitude changed when he filed for divorce. She said he started isolating his sons from his daughter. She also said she observed her estranged husband hitting the children during sports. Pilar Sanders took the stand in the protective order fight against her husband Monday, while Deion Sanders brought a statue from his home that one witness accused him of using to attack Pilar. She said denied Deion's allegations that she had hurt one of their sons, and the judge ruled that the incidents she described were not family violence because she was disciplining her child. 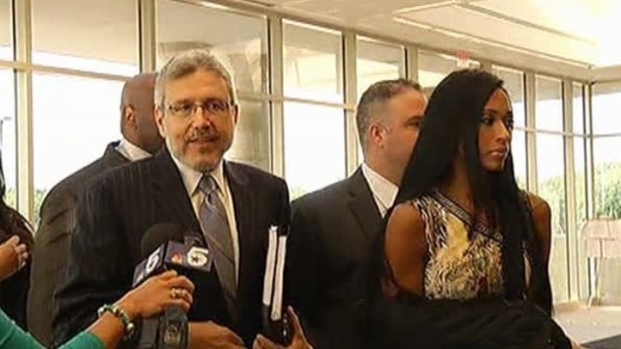 "We have one winner, and that's Pilar Sanders, and she had a good day in court, and she was vindicated against the false claims made against her," said Larry Friedman, one of of her attorneys. A child custody hearing is scheduled for May 15. An arbitrator has been brought in to assist with the custody issue. NBC 5's Kendra Lyn, Randy McIlwain, Justin Hinton and Ellen Goldberg contributed to this report.